A love bird is colorful and gregarious little parrot to have. Did you know that in some parts of the world, having birds in the house is supposed to bring good fortune and happiness? And no wonder people believe this to be true. Birds are such lively creatures, full of so much activity and song. A pet bird, or pair of birds, can liven up any home, make it a more cheerful and pleasant place to be. 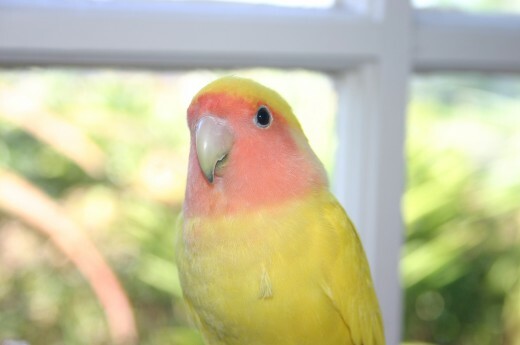 Among the most popular of the kinds of birds kept as pets are the love birds. Considering one? Love birds are small birds, but can be very noisy and sometimes annoying in their screaming. They also can't be placed with other bird species as they are aggressive to non-love birds. However, Love birds are a cheerful, gregarious, and loyal type of parrot. They are called love birds both because of their dedicated loyalty to their cage mate and also because of their deep affection for their owners. They are one of the most brilliantly colored of the smaller parrots, and will try to mimic the noises of the humans they love. 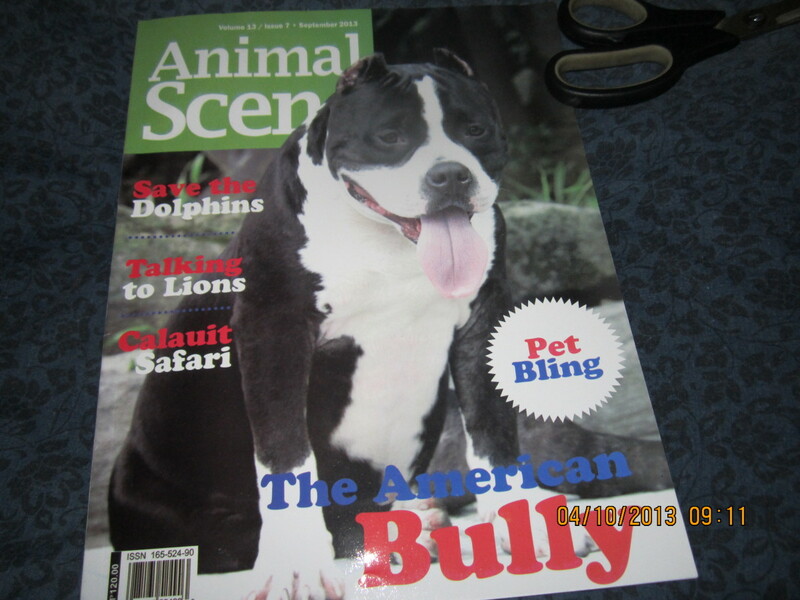 Read on to learn more about these great household pets. Love birds are a small and stocky species of parrot that come from arid places in Africa and Madagascar. Because of the dry environment from which they come, they are generally very hardy birds when well cared for. 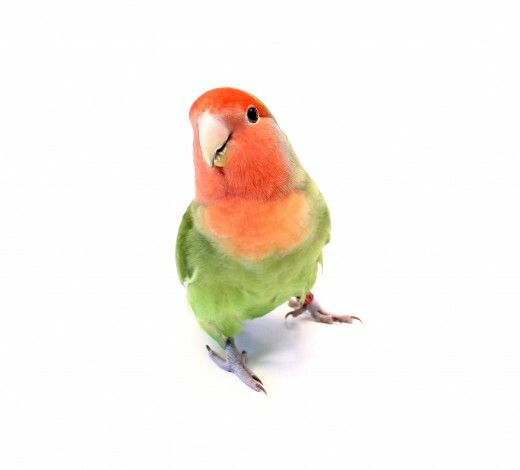 Love birds grow a variety of different colored plumages, including the popular peach faced love birds that display a range of brightly colored feathers and the black masked lovebird. A typical love bird will measure about five to eight inches in length, making them one of the smallest parrots kept as pets. This small size is also what makes them ideal animals for the home considering that their cages can be of a relatively small size. The weight of a love bird is about one and a half to two and a half ounces. 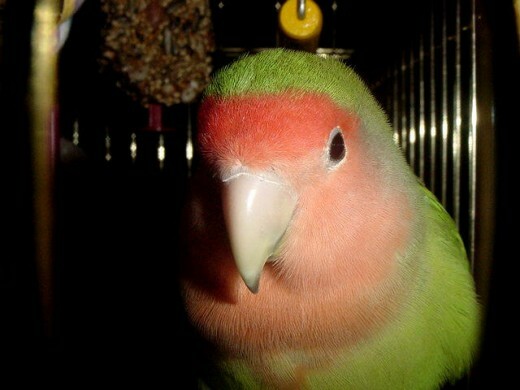 You should note that the weight of a love bird is a very good indicator of its health. Love birds who weigh less than this range could have health problems and should be cared for by a veterinarian well versed in bird care. Love birds can live up to 15 years of age when they are properly cared for and when they receive plenty of attention from both their mate and their human owners. 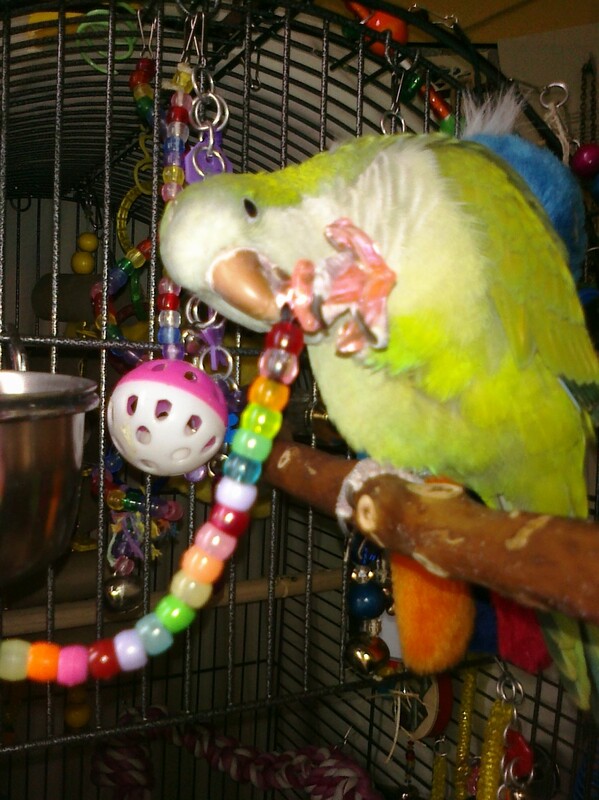 These little parrots love company and want to be talked to, played with, and handled. Love birds that do not get enough attention from their owners can become listless and may be more susceptible to health problems. Feather plucking is a behavior common in under-appreciated love birds. 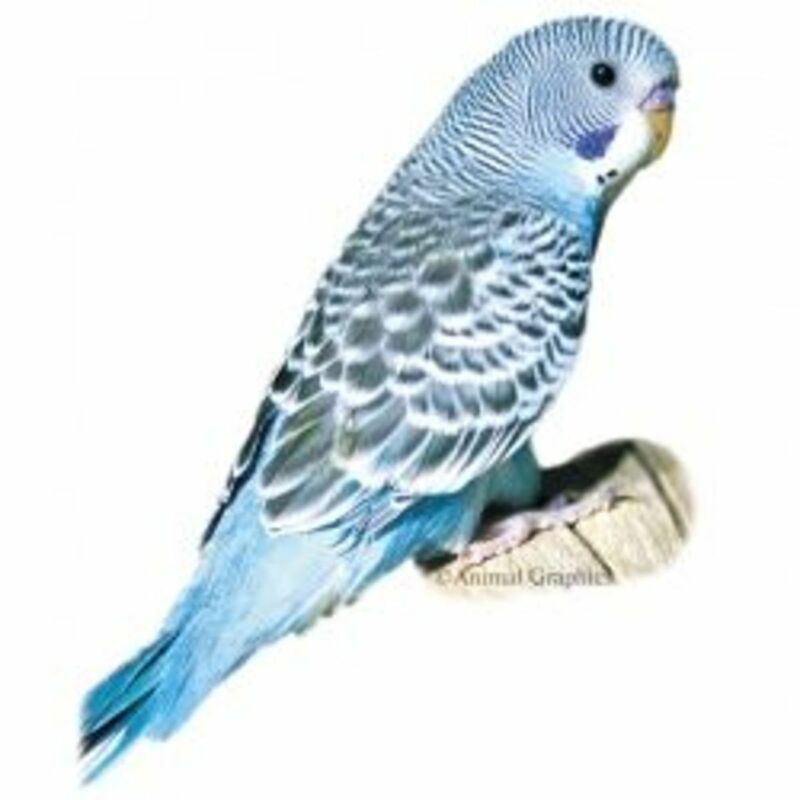 Many people are interested in breeding their love birds, which is relatively easy with this kind of bird. 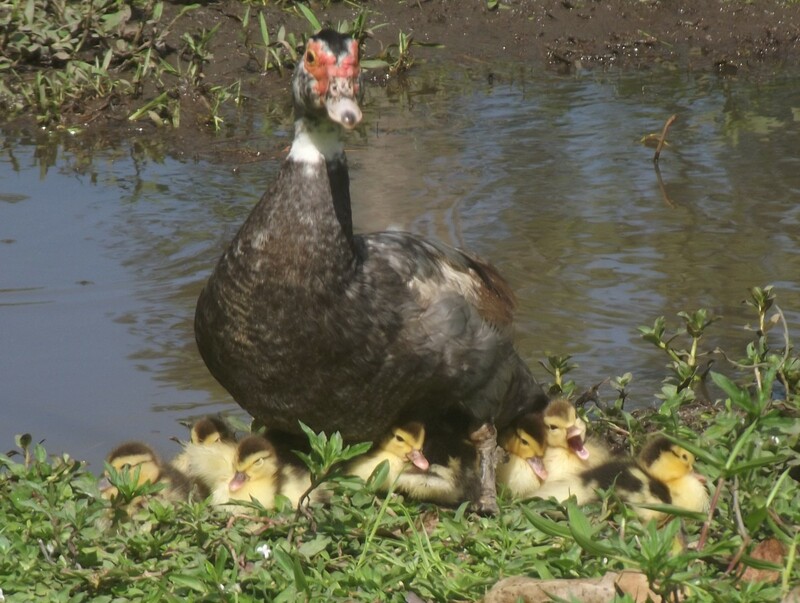 The females generally lay three to six eggs which hatch in about 22 days. However, if you plan on breeding your birds, be aware that there is the possibility that the female will become egg bound, which is a medical emergency. Also, you should have a home ready for your baby birds, whether you keep them or adopt them out to new families. Keep in mind the growing pet population. Sometimes even if you have no plans on breeding them, nature will take it's course and determined females will still lay eggs! So keep an eye on your bird during this time. If you have his cage in an area that is noisy at night, consider moving to a "sleeping room" at night. 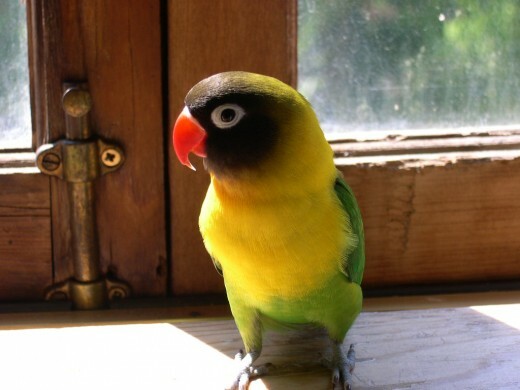 A lovebird cage should not be placed by a window: too much heat and too much cold. As mentioned above, love birds are hardy parrots and are relatively easy to care for. One of the most important aspects in caring for love birds, along with proper feeding, is to give them plenty of attention. You should interact with your love birds every day and as much during the day as you can. Not only should they be talked to while in their cages, they should be let out of the cage on a daily basis as well for an hour at least. This requires some commitment on your part, but you will be rewarded by the affection your lovebirds give to you. Because they like company so much, you might consider having at least two love birds in your home sharing the same cage unless you plan on being your birds devoted companion. 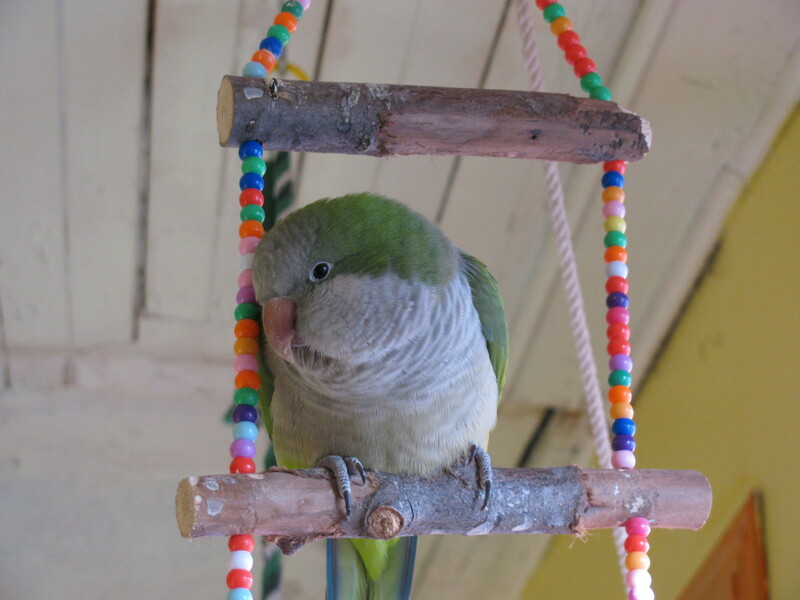 Love birds are small parrots but they should have plenty of space in their cages to move around in and play. At minimum, a pair of love birds needs a cage 30 by 30 by 20 inches, although the more space you can provide them the better. The cage should be equipped with many mirrors and toys to keep these playful little birds happy and active, as well as an assortment of perches to exercise their feet. The love bird diet should be varied as well. 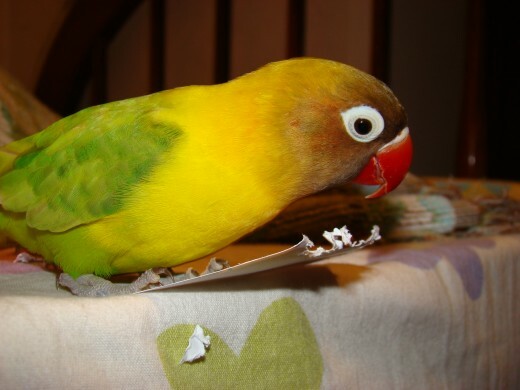 You should feed them a variety of different seeds including millet, rice, oats, and sunflower seeds. Ideally, however, if you can find a pelleted food to feed your bird (non-dyed), this is healthier as the staple to their diet. This should be supplemented with different kinds of fresh fruits and dark, leafy vegetables. Your love birds will also appreciate cereal, pasta, rice, and even boiled eggs. Never feed a bird avocado, as the oils can cause their throats to close up. Being tropical animals, you should take care not to let your love birds get too cold. You can cover your love birds’ cage at night to help keep them warm. In fact, lovebirds require darkness for sleeping, so either covering their cage at night or providing them with dark places to sleep in is a must. Giving them a box, however, may cause them to breed. You should also be careful that your love birds do not overheat by being left in the sun without shade to retreat to or by leaving the cage too close to heating vents. 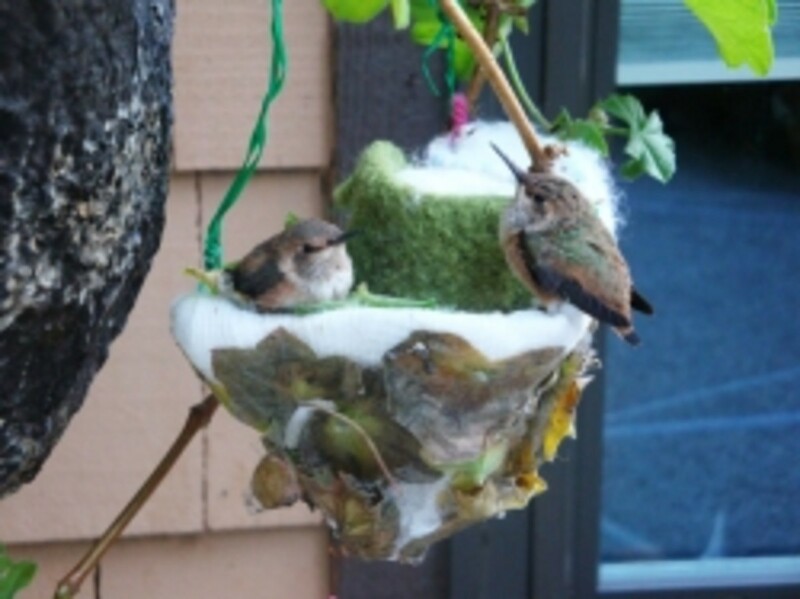 With good care and lots of love, your love birds will make wonderful pets. 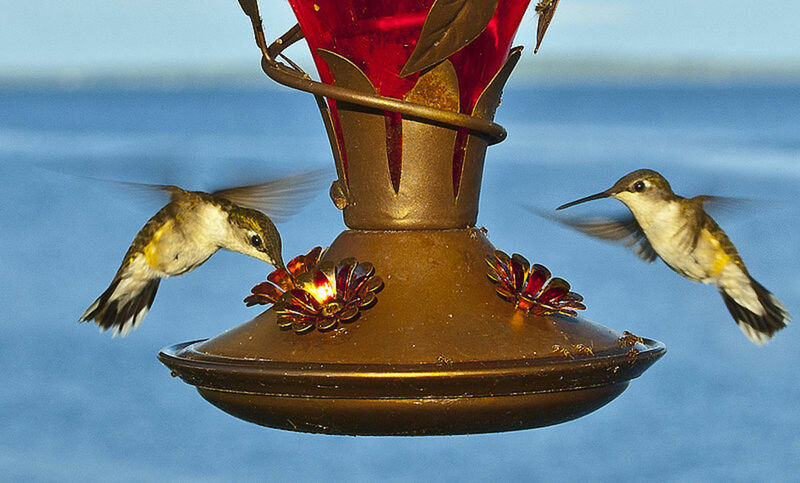 They will fill your home with their colorful chatter and their even more colorful plumage.